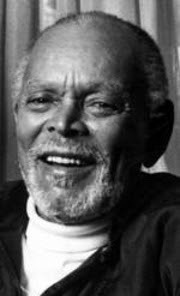 I've been reading works by Chester Himes of late. This was Himes' first full novel. Although it has been compared to such works as Black Boy and Native Son, I thought it was a forerunner of such later works as Catcher In The Rye. I was impressed at how thoroughly this book captured its setting of time and place, 1940s California, and at the same time discussed and displayed many issues common to 2017 American culture. The book is an examination of racism and many of the other isms you might imagine. In the past election cycle many black public intellectuals blasted Bernie Sanders for seemingly only understanding race issues as a subset of class issues. Although I thought their dismay was somewhat overblown, there is indeed a certain type of left wing activist who would rather talk about class as the primary or even sole issue worth addressing, while ignoring race issues. Himes parodies this type in at least two different story characters. One character means well while the other doesn't but both think race is a secondary concern. The protagonist, a black man named Bob Jones, is a rarity. He is a foreman at the Atlas Shipyard, overseeing a crew of black workers. Normally, Bob is not allowed to supervise white workers. Most of Bob's white co-workers consider it intolerable to work closely with or take orders from a black man. Many white workers hail from from the Deep South: Mississippi, Texas, Louisiana and Alabama. And these people would rather sleep six feet in their grave before they let some n***** tell them what to do. This is especially the case for most of the white female workers. No one wants to risk being known as a n**** lover. Whenever white female workers are in close proximity to black men, other whites watch both people closely for any sort of untoward behavior. Even a smile or touch is enough to set off nasty gossip or worse reactions. Bob's problems extend beyond work. Bob's girlfriend is Alice, a black woman from the black upper class. Alice can pass for white. Alice dislikes Bob's constant fury over racism. Alice thinks that black people in general and Bob in particular need to keep their mouths shut, be patient and prove themselves to whites. When Bob takes her to an exclusive (read whites only) restaurant, Alice blames Bob for the cold racist reactions the couple receives from patrons and management. Bob thinks, probably correctly, that Alice is really angry because in his company she can't pass. 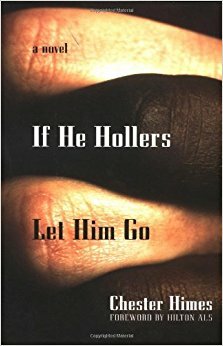 Alice's college educated black female friends express anger at black men who date interracially while they themselves surreptitiously do the same. Bob's not necessarily a good guy. He occasionally cheats on Alice with his married flat mate, Ella Mae. Ella Mae is jealous of Alice's complexion. She accuses Bob of being color struck. But it's Madge, a blonde white woman from Texas, who is the primary catalyst for the novel's four day event span. Madge is a shipyard tacker/welder who is easy on the eyes. Bob and Madge have noticed each other. Madge sneers and rolls her eyes at Bob. Madge says she wishes she were back in Texas where certain people know their place. Bob's most important project has fallen behind schedule because he can't get enough workers. Bob's white boss has noticed the delay; he enjoys it. The boss hopes Bob fails. The boss offers racist jokes, not assistance. A sympathetic white foreman tells Bob that he can temporarily borrow Madge to get caught up. When Bob informs Madge of her new assignment she reacts in a hostile profane abusive racist manner. Furious, Bob responds in kind. But cursing out a white woman is rarely a good career move for any black employee, foreman or not, then or now. A supervisor immediately demotes Bob. The union won't help. Bob will be fired soon. Bob is now eligible to be drafted into the Army. Bob can't finish college without a foreman salary. Alice won't want to date or marry Bob if he's not a foreman or never obtains a college degree. Alice only tolerates Bob's darker skin tone because of his financial success. Bob realizes that the reason for Madge's behavior might not be simple hatred or rather might be hatred mixed with something else just as primal. But this realization just leads to worse outcomes. This hard hitting book was about 200 pages. The author was apparently working out some personal issues. Bob's experience with racism and hatred drains him. It even infects his dreams. He spends each day wrestling with rage, fear and lust, all in equal measure. This book is written in first person. It is still very relevant today in a myriad of different ways. From showing the differences in the language used between in-groups and out-groups, to depicting racist cops, to examining how micro-aggressions can destroy someone's joy, this is a book that could be set in current times with only minor changes.